Ever since the new year began, the Galaxy S7 and S7 Edge users who have patiently waited for the Nougat update have been on the edge of their seats. While Samsung has proudly advertised that the update officially came out on January 17, more than half of the world is still waiting to catch a glimpse of it. Since Samsung rolled out the Android 7.0 Nougat update for its flagship devices, the ones to receive it first belong to regions which were covered by the Galaxy Beta Program. 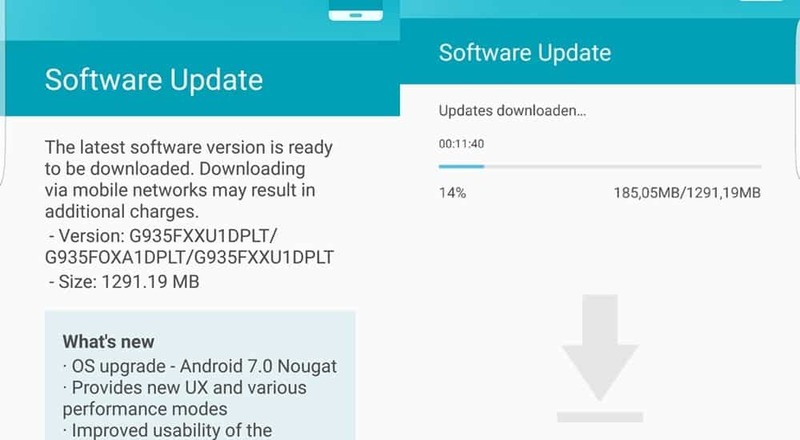 However, there is finally some good news for users as the Nougat update has reportedly landed in France, Malaysia, and the United Arab Emirates. The UAE was the first among the independent regions to receive the OTA update for the unlocked variants of the Galaxy S7 and S7 Edge. While the unlocked version in Malaysia is also receiving the Nougat update in OTA for now, French network carrier Orange is the one who is introducing the Nougat update first in its country. If you own a Galaxy S7 or S7 Edge in any of the three regions, expect an OTA update to reach you soon. However, since the update is incremental and being rolled out in phases for a limited number of users, it could take a few days until you see the OTA update notification. To check for the latest available update manually, simply open Settings->About phone->Software update->Check for updates. Do keep us posted on what the latest Nougat update brings to your Galaxy S7 and S7 Edge devices.